Be the first to share your favorite memory, photo or story of Sue. This memorial page is dedicated for family, friends and future generations to celebrate the life of their loved one. Seven Springs-Susan Barber “Sue” Raynor, 78, quietly and peacefully passed away on Monday, November 26, 2018. Sue was born June 24, 1940, in Johnston County to the late Clarence Barber and Viola Braswell Barber. Life for Sue revolved around the happiness and well-being of her family. When the family was happy, Sue was happy. Her devotion and commitment to her family was evident in all that she did. Sue always looked forward to having her family surround her with love and attention. Her famous chicken pastry and spaghetti always called them home. Good fellowship and good food were always part of the package at Sue and Walt’s house. Sue was the glue that kept her family together. A perfect day for Sue would be out swinging on the front porch or being out under the pecan tree. Many prayers have been lifted, laughs shared, and tears shed on the porch or under the tree. She loved getting on the four-wheeler and riding the grandchildren down to the river and back. Sue drove a school bus for Lenoir County Public Schools for 15 years. During her career, she received a Governor’s Safety Award for going above and beyond to take care of her bus riders. Sue was a longtime member of Union Baptist Church. She was the type of person who never met a stranger and easily made friends. A service to celebrate Sue’s life will be held Friday, November 30, 2018, at 2 p.m. at Rouse Funeral Home. Entombment will follow at Pinelawn Memorial Park. 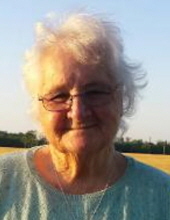 Sue is survived by her husband of 35 years, Walt Raynor; son, Roy Linn Ipock and wife, Libby; nine grandchildren, Dale Weaver, Katie Ardon, Christy-Dawn Nelms, Robert Linn Ipock, Zachary Jay LeMaster, Victoria Hill, Kaycee Ipock, Michael Ipock, and Nickodemus Ipock; six great-grandchildren, C.J., Gabby, Lilly, Audrey, Emmett and Emma; two sisters, Rachel B. Herring, Tinkum B. Thornton and husband, Ernie; and a brother-in-law, Sylvan Hardy. In addition to her parents, Sue was preceded in death by a daughter, Terry Sue Hill; son, Michael Ipock; and two sisters, Joan Barber and Hilda Hardy. Family and friends will be received Thursday from 6-8 p.m. at Rouse Funeral Home. Online condolences may be expressed at www.rousefh.com. Memorials may be made to Union Baptist Church, c/o Kim Davis, 5026 Liddell Road, Seven Springs, NC 28578. Arrangements are entrusted to Rouse Funeral Home, La Grange. To send flowers or a remembrance gift to the family of Sue Barber Raynor, please visit our Tribute Store. "Email Address" would like to share the life celebration of Sue Barber Raynor. Click on the "link" to go to share a favorite memory or leave a condolence message for the family.